I would like to inquire about your property Bayut - DUB187196. Please contact me at your earliest convenience. 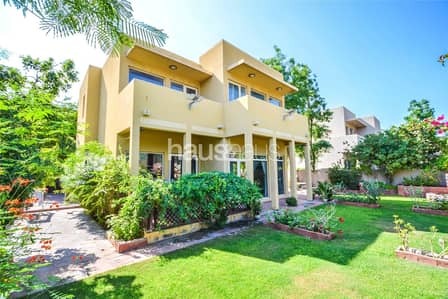 haus & haus is pleased to exclusively present a partially upgraded type 8 villa in Saheel. This 3 bedroom property has been partially renovated with marble in the downstairs living area or solid Brazilian wood flooring throughout the rest of the house. The unit sits on a plot of over 6,000 sq. ft on a single row. haus & haus are pleased to exclusively present a partially upgraded type 8 villa in Saheel. This 3 bedroom property has been partially renovated with marble in the downstairs living area and solid Brazilian wood flooring throughout the rest of the house. The unit sits on a plot of over 6,000 sq. ft on a single row. The garden has mature landscaping. The property is currently owner occupied and will be vacant on transfer.